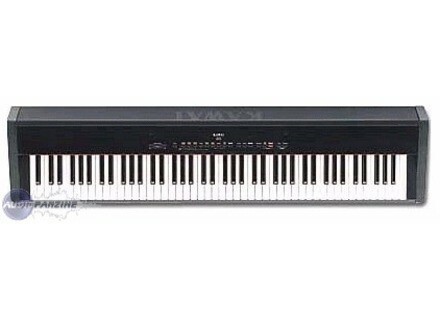 ES1, Digital Piano from Kawai in the ES series. Qi's review (This content has been automatically translated from French)" good touch, good sound, compactness ... What more?" The connector is for an ultra complte piano plutt orient public is rare! Instrument simple, efficient and built to last. 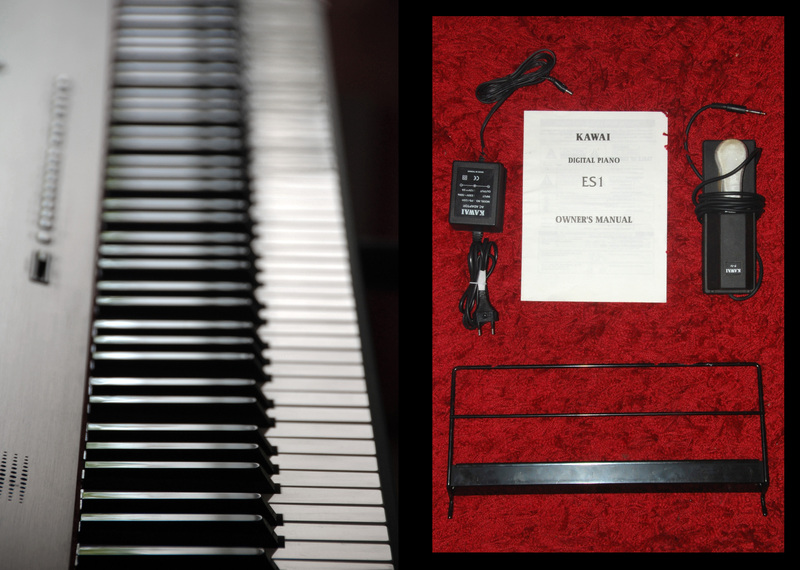 The top and rear are mtal unlike Yamaha pianos amplified range equivalent (p60, p70, p85, p95) that are all plastic. I think onboard sound is better too because of a. 2-track recording function is handy to capture a piece of ide. I had several pianos and acoustic numriques heavy touch (a Yamaha P80, and currently a XS8) so I know a little piano. 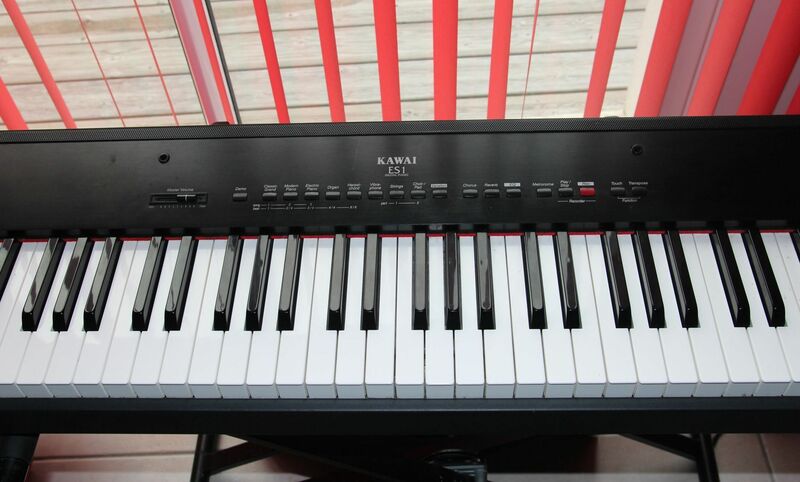 I came across this Kawai ES1 while I was looking for a second keyboard for the living room space-saving, and easy dplacer. The ES1 is trs compact, without being super lightweight (requires heavy touch). Excellent touch lighter than the P80 (though I loved), but more because of the coup raliste more like an upright piano. The sounds of acoustic piano and electric range from good trs trs correct, I do not use the others (Kawai makes excellent concert pianos), and HP hold the road well trs , even if it costs at prfrera a headphone or with a good Systm amplification for deeper bass. In this case a little button to cut the high parleurss internal handy. Oh I forgot, it is also more beautiful than these competitors! In short you will understand, this piano is a nice surprise trs trs and I'm satisfied. It's own piano possde amplification, we can use it without any hardware (no need for headphones or speakers). Touch is good without being exceptional, even if it is better than many pianos This category (88 ratings, portable and heavy touch). 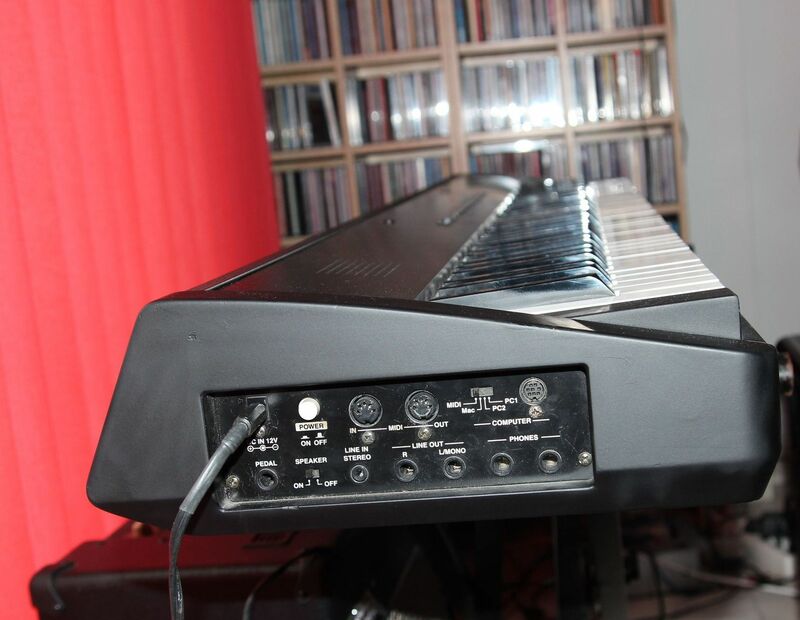 The big advantage of this keyboard is above the level of amplification intgre and its dimensions as it is shallow TRS, which makes it easily transportable. In addition, the piano can be placed against a wall if you do not have much space, since all the connections are located on the ct of the device. The sounds are not many trs (16) compared with a synthtiseur but they are good overall. However, Intrets this kind of keyboards do not RSID in diffrent sound but it can make plutt in the simulation of an acoustic piano, not only in sound but also in touch. Moreover, it is always possible to add sound via an expander either in hardware (via MIDI) or software (via the TO HOST). I use the ES-1 for the past one month and a half j'apprcie particulirement its small size (and therefore relatively easy to transport), complte its connectivity, but also, and this that guided my choice, his touch (compared to other models "portable" and in this price range). The list price remains lev (12000 F) but the quality and price of the proposed 1050 France Piano E (7500 F) which is interesting trs. I prfre feel of the ES1 Yamaha P120 (P80) that jOperation with my prof. It is a bit lightweight but the nuances are better returned. The keys are shallower and enable faster play. In addition, the bottom button is softer than the P120. I am not patient trs trs jai found the manual clear. The only complaint is that the mtronome nindique no values. It must rgler to pif. The sounds are good especially the piano (6 of 16) which is the basic sound I think. The chorus effects are often rverb eq Intgr original post in the sounds with the option to remove them or change them. I add the chorus on the modern piano to play the boogie; your exact sapparente the piano bar. I am the User for 2 years in various styles and rgale me always the same. 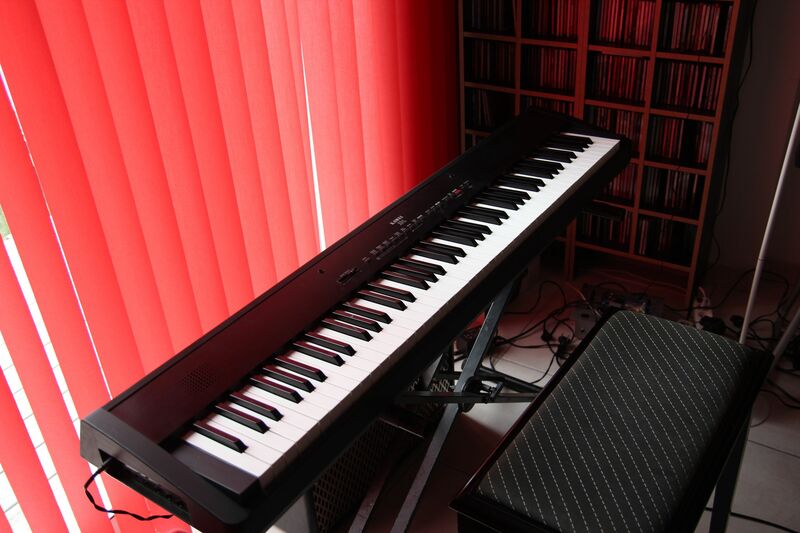 I use it for 5 years, I love everything about this keyboard: his touch, his piano, his connections, its small size, I tried all of the store, he had the best touch. The price is still reasonable bin.